You can’t really have a discussion about Hair Metal without adding Enuff Z’nuff to the conversation. Chip himself is quite the charming if not a little eccentric addition to the Hair Nation Tour backed by Sirius XM and Live Nation. I say eccentric only because he does not seem to care about what the cookie cutter 80’s metal band member should look, act or dress like. Chip is definitely his own person. From his now becoming trademark pink sunglasses to his collection of head wear and crushed velvet pants, he exudes personality without saying a word. Fortunately for us, he is also a talker. I asked exactly three questions in the entire interview and let him roll. What follows is a scaled down version of our extensive interview recorded outside of a smoothie shop near the bar he and his band played as a pick up date separate from the Hair Nation. Its is edited for length only not content, with some detail for context. ” Lots of people want to hear Rock and Roll (and it’s) certainly thriving. 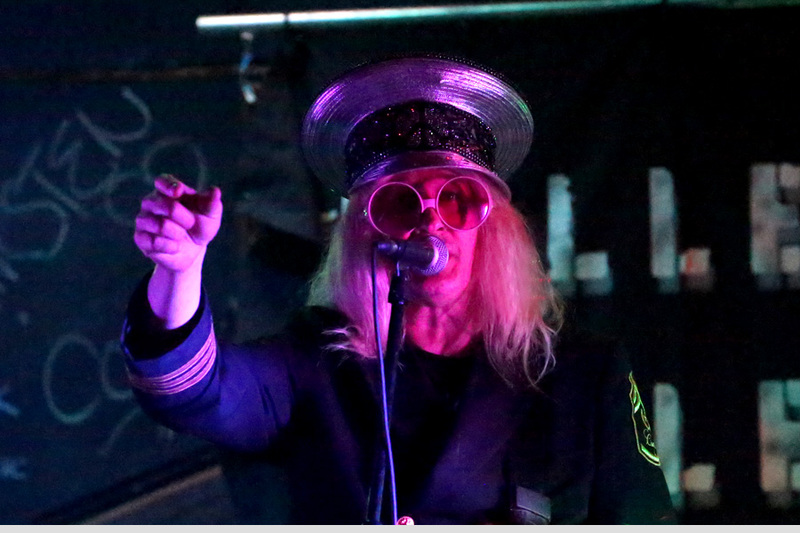 If we take it easy and just pick and choose (dates), it is a disservice to what Enuff Z’nuff is all about because we are out the playing and because of Live Nation, there are plenty of opportunities. Metal is doing very well right now. There’s a changing of the guard. Greta Van Fleet’s new record is coming out. (It is) going to be terrific. Rival Sons is another great band. Bands that are established are going to be fine. Rock and Roll, I don’t think, is dead. If it was you wouldn’t see bands like us in the Billboard top 200. People want to hear Rock and Roll. They want to hear metal. There’s plenty of outlets out there.” He gives a shout out to Sirius XM for playing all kinds of music.